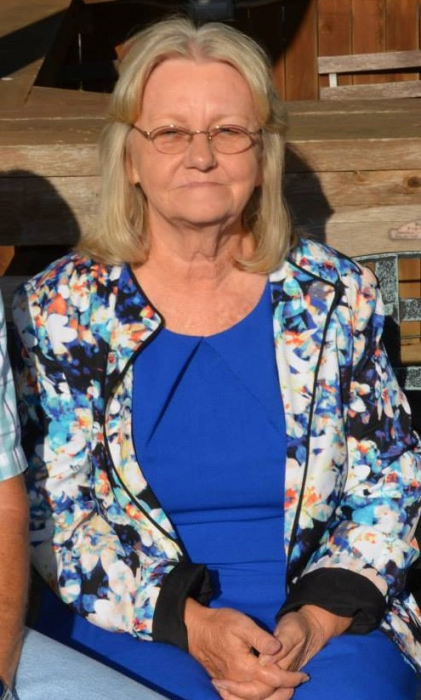 Sandra Jean Arie (Sandy), 71, of Wills Point, went to be with her Lord on January 25 after a year-long battle with cancer. She was born February 16, 1947, in Palestine, Texas to Earl and Vera Teel. She married Bob Arie on January 28, 1969. She was pre-deceased by her father, Earl Teel. She is survived by her husband, Bob; children, Robert of Dallas, Kevin and his wife Barbara of Gresham, Oregon, Tracy and his wife Darla of Springtown, and Angela and her husband Owen of Vass, North Carolina. Sandy is also survived by her mother, Vera Teel of Richardson; grandchildren, Robby, Madison, Kamron, Michael, Sean, and Crystal; sister Judy and her husband Wayne of Richardson; 4 great-grandchildren; and numerous beloved nieces, nephews, cousins and friends.